Welcome to the instructional video on how to clean your Coravin wine access system. We recommend that you regularly clean your Coravin system to achieve an optimal experience when using it. Do not fully submerge your Coravin system in water and never place any parts in the dishwasher. Place the spout of the Coravin system under a small stream of warm water to rinse. Allow water to flow out of the needle. Never press the trigger while rinsing the spout, this may damage your unit. Press the trigger to release a short burst of gas to clear any excess water from the system. Dry with a soft glass to remove the droplets that may be left on your Coravin system. Your Coravin wine access system is now ready to use. Welcome to the instructional video on how to replace the capsule of your Coravin wine access system. Press the trigger and listen for a hissing sound to check that your Coravin system is loaded with argon. If no sound is heard when you press the trigger your Coravin system may be out of gas, you need to replace the capsule. Slide the clamp up to easily access the black cup containing the capsule. Twist the black cup off the unit. If you hear argon leaking while you untwist the cup, you may have a clogged needle. Please refer to the Unclogging the Needle section for further assistance. Remove the empty capsule and place the new Coravin capsule into the cup. Twist the cup back onto the device until hand tightened. There should be a slight gap between the cup and the unit. Slide the clamp down until it snaps into place and press the trigger to release a short burst of gas to test your Coravin system. Your Coravin wine access system is now ready to use. 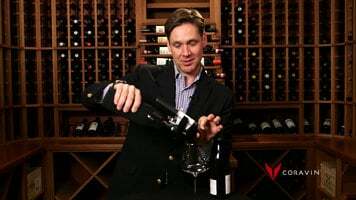 Welcome to the instructional video on how to unclog the needle of your Coravin wine access system. Hold your Coravin system and press the trigger. If you don't hear a hissing sound your needle may be clogged. To check, unscrew the needle grip at the top of the needle to release it from your Coravin. The needle will drop down. Press the trigger again. If you hear a hissing sound your needle is clogged. Use the unclogging tool to unclog the needle of your Coravin system. Unscrew the needle grip at the top of the needle. Tilt the needle slightly and carefully remove it from your Coravin system. Note the needle is sharp, please be cautious when handling. Thread the tool through the eye of the needle. Insert the tool into the top of the needle by the needle grip and slide down to push any clog towards the eye of the needle. Thread the tool through the eye of the needle again to remove any last cork particles that may have been pushed down. Repeat this step until you see the end of the tool without any remaining clog. Hold the clean needle by the needle grip and slide the pointed end back into the needle guide slightly tilting the needle. Screw the needle grip back into the unit until hand tightened. Your Coravin wine access system is now ready to use. Welcome to the instructional video on how to replace the needle of your Coravin wine access system. Contact customer service to order a replacement needle. Note, the needle is sharp, please be cautious when handling and always hold it from the needle grip. Unscrew the needle grip at the top of the needle to release it from your Coravin system. The needle will drop down. Tilt the needle slightly and carefully remove it from your Coravin system. Note, the needle is sharp please be cautious when handling and always hold it from the needle grip. Open the plastic tube containing the new needle and carefully remove. Place the old needle into the plastic tube and seal before discarding. Hold the new needle by the needle grip and slide the pointed end back into the needle guide slightly tilting the needle. Screw the needle grip back into the unit until hand tightened. Your Coravin wine access system is now ready to use. For addition maintenance or troubleshooting tips please contact customer service. Make sure your Coravin wine system stays running like new by carefully cleaning and maintaining the system. Learn how to clean the system, replace the capsule and needle, and unclog the needle in just a few simple steps. 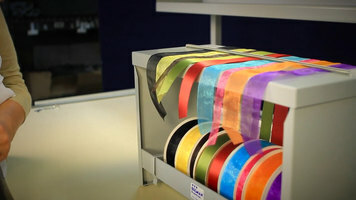 Quickly set up your Bulman M790 deluxe ribbon dispenser with these simple steps! Save on shipping but still get your bun pan rack ready to use in just minutes! 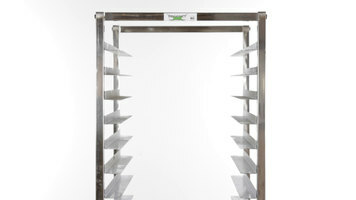 Watch our short video to see just how quick and easy it can be to assemble the Regency stainless steel bun pan rack so that you can avoid assembly headaches.